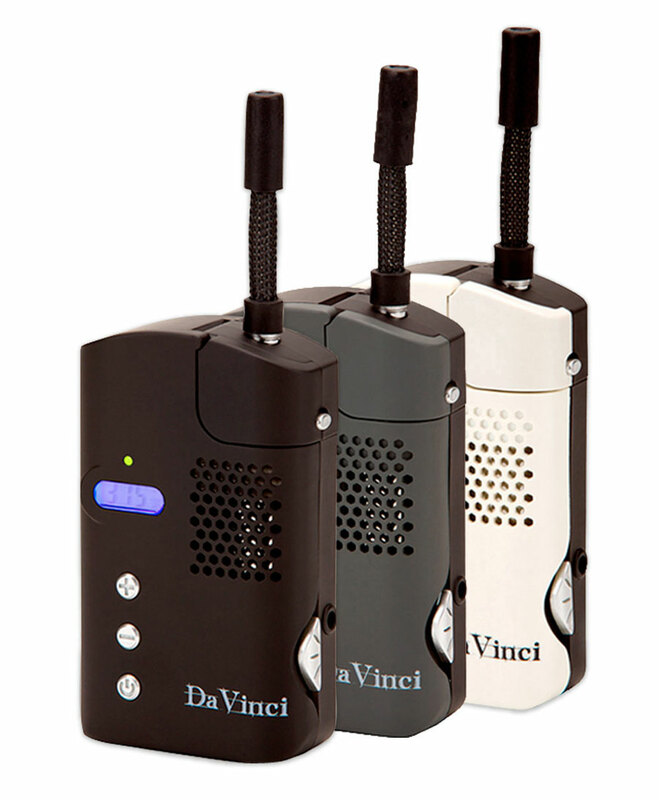 The DaVinci Vaporizer represents a great advance in portable vaporizers, combining more advantages for users of herbal highs and those requiring a medical vaporizer than many other current models. The DaVinci’s design focuses on new features for a portable vaporizer. Its compact size, sturdy construction and flexible silicone inhalation tube (the Flexi-Straw) mean that it can easily be stored in a pocket or small bag without the risks of glass components. Storage compartments for oil and herb chambers and a handy multi-tool (all supplied) are innovations bound to please fans of portable vaporizers. Dual power switches ensure the device is not accidentally turned on when not being used to vaporize herbal highs or oils. Power supplied by three rechargeable lithium ion batteries allows for at least 45 minutes of use before needing to be charged. Battery power also eliminates the need for inconvenient butane refills, making this a very clean and simple device and an excellent choice as a medicinal vaporizer. DaVinci Vaporizer is added to your shoppingcart! DaVinci Vaporizer is added to your wishlist!